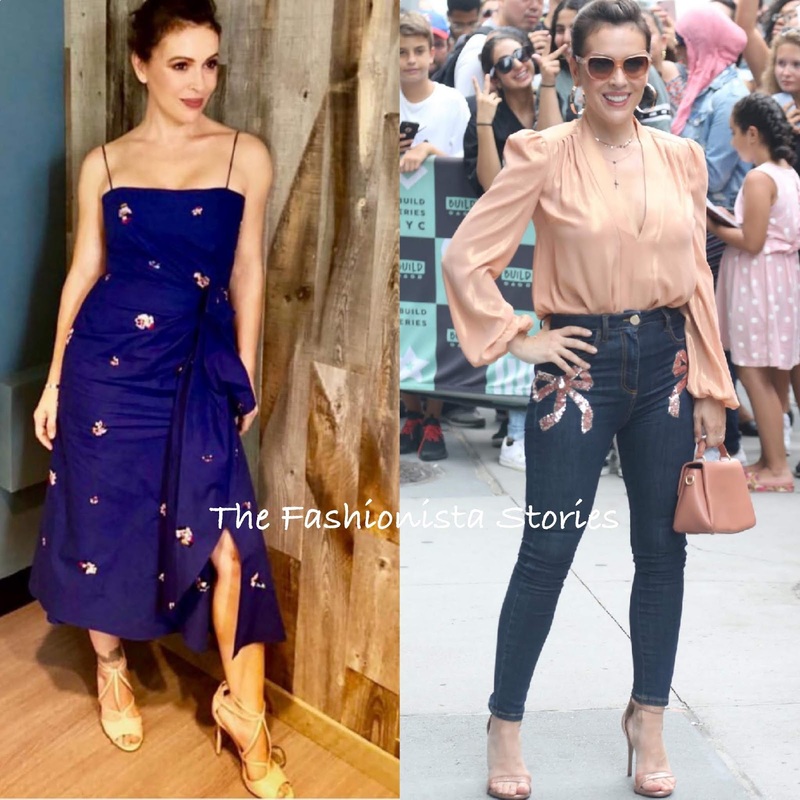 Following her previous outing, Alyssa Milano stepped out again yesterday(August 7th) in two different looks in New York to promote her new series 'Insatiable'. First she stopped by SiriusXM studio where she posed her look on to instagram. She wore a PRABAL GURUNG PRE-FALL 2018 navy side ruched, floral embroidered dress with thin straps. She offset her embroidered midi dress with thin straps. Offset with neutral HALSTON sandals, she finished up with BARE COLLECTION jewelry and a colored lip. Next she stopped by the Build Series wearing a casual but chic look courtesy of ELISABETTA FRANCHI. 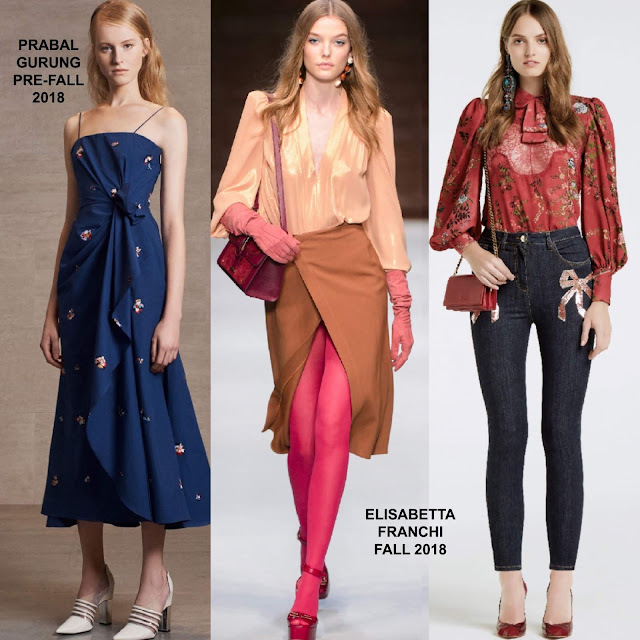 Her FALL 2018 look featured a peach blouse and tapered leg denim which was adorned with sequin embroidered bows. She finished up with dark sunglasses, LANA jewelry, a FLYNN bag and SAM EDELMAN sandals.